University of Lagos, UNILAG final year students – job placement after graduation scheme – also known as On-Campus Recruitment Drive – has commenced. Are you a final year student of the University of Lagos (UNILAG), with a CGPA of 3.50 and above? If yes, we are glad to inform you that the Counselling Unit of Student Affairs Division of the university has commenced its annual On-Campus Recruitment Drive. 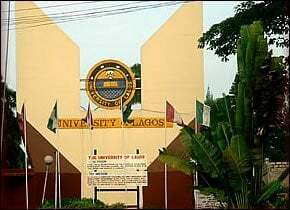 What is UNILAG On-Campus Recruitment Drive About? The exercise is aimed at creating a platform for Human Resources Departments of various organizations to interact with final year students of the University, for job placement after graduation. Some of the organizations include: Access Bank Plc, Guaranty Trust Bank, McKinsey and Company, Unilever Nigeria Plc, PZ Cussons, Akintola Williams Deloite, KPMG, Procter and Gamble Nigeria Ltd e.t.c. Stage one: Writing letters to various organizations for the recruitment of final year students for internship and job placement after graduation. Stage two: Meeting with the organizations to discuss the modalities for the recruitment exercise. Stage three: Forwarding of lists of final year students for shortlisting. Stage four: Facilitating career talks and job aptitude tests. In view of the foregoing, all departments are implored to forward the list of final year students on CGPA 3.50 and above to the Counselling Unit, for upward submission to the would-be employers. Hard copy: Counselling Unit, 1st floor, Bookshop building, UNILAG, Akoka. PLEASE NOTE THAT FAILURE TO SUBMIT THE LIST OF STUDENTS ON CGPA 3.50 AND ABOVE IN YOUR DEPARTMENT WOULD DEPRIVE THEM OF THE JOB OPPORTUNITIES.